Welcome to designs by Innovative! Builders, architects, and interior designers often turn to designs by Innovative, whether it’s a custom build or a remodel. designs by Innovative is considered preeminent in the design and installation of cabinetry to perfectly compliment distinguished homes both aesthetically and functionality. The key is experience and a commitment to meticulous planning. Our objective is to complete each project as scheduled. To achieve this, we invest substantial time at the front end of a project. The bonus is everyone earns dividends on our investment of time. Our installers expeditiously complete each job and the job is done right the first time. This is a ‘win-win’ for trade professionals, homeowners, and designs by Innovative. designs by Innovative is a team of accomplished cabinetry professionals. Ed Jourgensen’s experience includes 30 plus years in the kitchen design field. 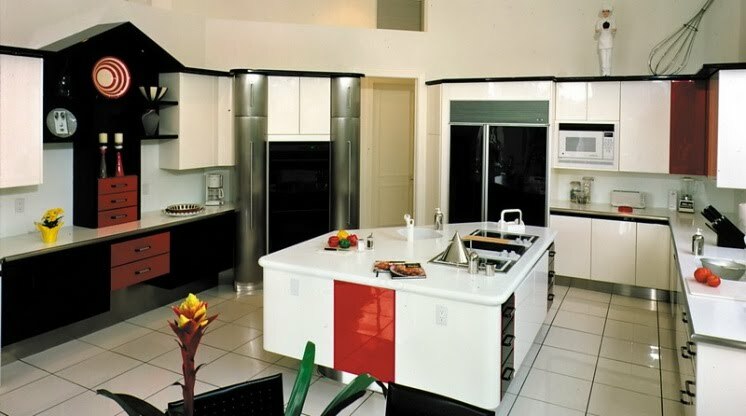 Butch Huber has over 25 years of hands-on experience with cabinetry layout and installation. Steve Pollhein, as he has for over two decades, conceptualizes the design and creates a visual representation of each project. Prior to finalization of the design phase, Ed and Steve review the project with Butch. Butch provides the operational oversight and quality assurance necessary to ensure a successful project. The collaboration of all three, and the individual perspective each brings to the project, is what makes designs by Innovative unique to the industry. Cabinetry installation is completed by installers who we characterize as artists. A craftsman brings skilled hands to a job, an artist brings skilled hands and a heart for perfection. Our installers are artists. Copyright (C) 2012 designs by Innovative, Inc. All rights reserved.